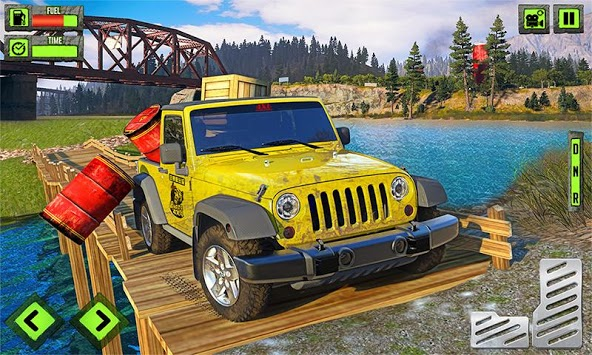 Drive and enjoy Offroad Jeep Adventure : Car Driving Games 2019 with an offroad hummer on impossible tracks super jeep adventure. 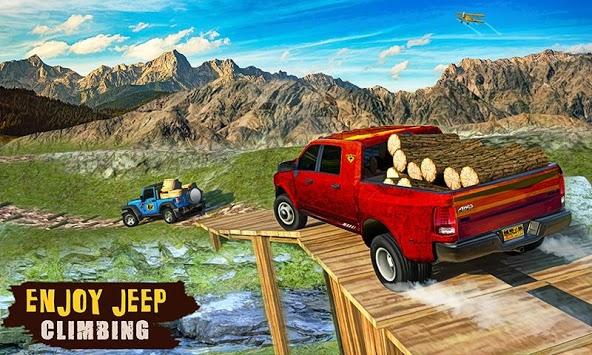 Kick start the offroad Jeep driving as crazy car driver with mesmerizing impossible track in jeep climbing & cargo transporter 4x4 car riding games. Offroad Jeep the adventure real driving is beating the rally car racing games and offroad Prado racing. Get ready as offroad hummer legend in car driving simulation 3d game on dangerous & tricky tracks in jeep games. Buckle up & and start your realistic jeep drive on uphill tracks for jeep cargo transportation. 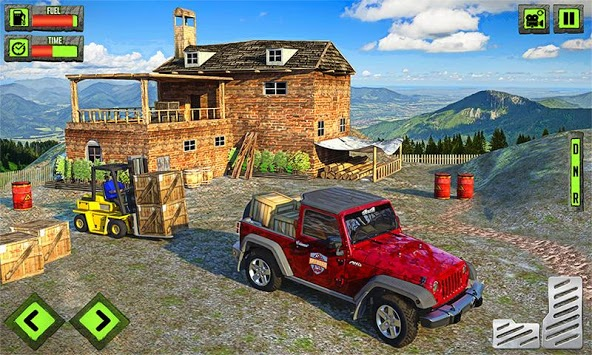 Earn points to unlock more jeeps of extreme jeep driving simulator 3d hill as jeep climber. Wisely win all the snag and road rocky obstacles to complete the tricky levels due to pickup transporter in offroad games. Offroad jeep adventure : Car Driving Games 2019 will make you feel the Prado driving challenge on offroad four wheeler. Challenging four wheel offroad drive will give you unique experience of Prado driving, riding & 4x4 legend drive in offroad games. As road master, beat the earliest records of offroad jeep racing, on the cholistan desert or hillside cargo transportation driving fun. Build your alluring career as the pro cruiser driver in offroad car driving game of jeep adventure best simulation games. Never let the adventurous & real 4x4 extreme offroad opponents win over the offroad Jeep driving games. Behave the skilled offroad driver to drive on hilly or mountain tracks driving fun. Modern Prado drive will add fun with its four wheeler. Get ready for 4x4 extreme offroad adventure transporter games. Download now and don’t forget to drop your suggestive review to make the gameplay better for you.